Rental companies play an important part in the way our industry operates. From an operators point of view they offer the facility to provide vehicles on a short or long term basis avoiding the need for large capital investments. Rental here is an all-embracing term but it can mean straight rental or leasing or contract hire. The recent economic problems which have made accessing capital more difficult, have benefitted rental companies. Rental companies also play a key role in the supply industry because they are large purchasers of new vehicles and stimulate the trade-on market by providing a steady supply of used vehicles. Some rental companies handle the whole gambit of vehicles while others tend to specialise. 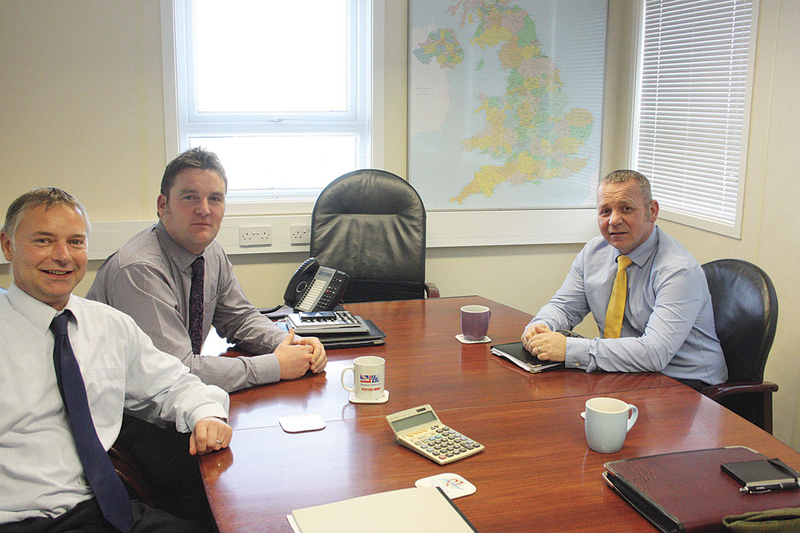 One of the most successful of the latter is London Hire, headquartered at Belvedere in Kent. London Hire has long specialised in accessible minibuses and coaches and the complexities of supporting them. That it has been successful can be gauged by the fact that this year the company is celebrating its 25th anniversary. As the name suggests, the company originally focused on supplying vehicles in the Greater London area, particularly to local authorities, but more recently began to spread out of London and now services clients throughout the UK. London Hire has vehicles operating in areas as far afield as Glasgow and Perthshire which are supported in the same way as if the vehicle was based in London. In addition London Hire has diversified and now can provide vehicles with drivers, a full passenger transport service. This service is currently focussing on markets in and around London but it is viewed as a significant future growth area. Like many successful businesses, London Hire, started almost by accident. Founder, Rob Evans, and his wife Evita were at home in their kitchen. Rob, who was involved in engineering and fleet support, had been looking for a change of career direction and noted a need in London for a short term vehicle rental facility for specialised vehicles. There were any number of companies ready to hire you a van or a personnel carrier but getting hold of a specialist vehicle was much, much harder. Rob suggested to Evita that there was an opportunity to set up a company providing quality rental vehicles. Her reaction was to tell him to go for it. The couple sank all their savings into the venture and Evita has been Rob’s stalwart supporter throughout the adventure. The couple were also responsible for coming up with the name ‘London Hire’ because that is what they did. The distinctive logo was the same, a simple outline map of Greater London with the River Thames running through it and the heart symbolising customer care even though that term hadn’t been invented then. London Hire had been born. Rob started with a small fleet of Fiat Ducato vans and tippers and literally got his business by putting the hours in knocking on doors. Any profits made were ploughed straight back into obtaining more vehicles and growing the business. Even in those early days he wanted his vehicles to be the best. When competitors were using the cheapest vans around Rob went for Vauxhall Astras because of their car like driving qualities. Offering something different and of a higher quality remains fundamental to the company ethos to this day. Sadly a couple of years down the road, Rob had to have major surgery on his back and he knew this would take him out of action for some months. It was then he recruited Peter Moxom who has been with him ever since. Peter recalls that when he started he was given a mobile phone the size of a large house brick, a bucket and a sponge. The message from Rob was simple – vehicles have to be spotless and if the phone rings ‘answer it.’ Two more company philosophies that persist. Whilst Rob’s operation was a success, his recuperation took much longer but with Peter’s enthusiasm the company continued to grow. Around this time the company became involved with wheelchair accessible buses, a move which was to be crucial for the future. 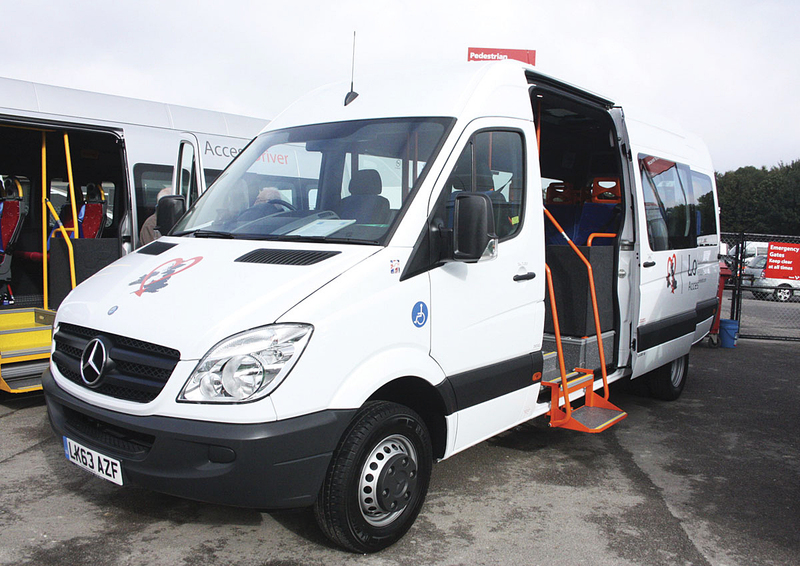 They were approached by a London Borough with a request ten Mercedes-Benz 24-seat accessible buses on long term rental. This was a huge gamble for Rob. The buses would cost around half a million pounds, then more than the company’s annual turnover, but the Council couldn’t guarantee the length of the contract. Nevertheless, Rob and Evita didn’t hesitate to take the plunge and have never looked back. The original vehicles were sourced from Devon Conversions and stayed on the fleet for five years. London Hire decided to specialise in accessible minibuses and Rob asked Peter to take control of that operation. I first met Peter at a Community Transport Association show where I was introduced by Ken Goodson of UV Modular, which was then a major supplier to London Hire. Peter is one of the most charismatic people in our industry with a wicked sense of humour. Some people completely misread him. Because he is always happy-go-lucky, they fail to appreciate that beneath the colourful exterior lurks a very clever brain. Few understand the accessible vehicle market like Peter and nobody has done more to raise the standards of the industry. I’ve known him a long time and never met anyone with so much enthusiasm for what they do. He is as enthusiastic today about what he does, particularly raising standards, as he was the very first time I met him. Shortly after that first meeting I visited Peter and Rob at London Hire’s then office in a beautiful historic building in the centre of what today is London’s thriving Surrey Docks commercial district, home to places like Canary Wharf. What I found was a very slick operation controlling a large fleet of vehicles. Later I went to the company’s vehicle depot, a very cramped site in the Old Kent Road. Frankly I was amazed that such a large fleet of vehicles could be maintained on such a minute site, but they did and to an exemplary standard. The last time I visited couldn’t have been more different. The company had moved to new premises in Belvedere on the North Kent coast of the River Thames. In my youth Belvedere was in Kent, in fact my Dad was born there. These days Belvedere has been long swallowed by Greater London. In the past this area formed part of the vast London Docks complex and the site of London Hire’s new headquarters was a former timber importation yard. It gave the company what they had long needed – lots and lots of secure space. It didn’t have the splendid old dock offices, but the group of modern office buildings are far more efficient to operate and have created a ‘One stop shop’ for clients! The dominant feature on the site is a huge metal framed timber drying shed clad in timber with gaps in it to allow good air flow! What to do with it taxed Rob but his solution was typical of his ability to think laterally. He was loath to demolish it because it was part of the character and history of the area and he had a soft spot for it. Demolishing it and replacing it with a new purpose built maintenance facility would also have cost a lot of time and money. His solution was ingenious, rather than knock it down he simply built his new maintenance facility ‘inside’ it, preserving the heritage. As an added bonus it made the maintenance facility very, very secure. 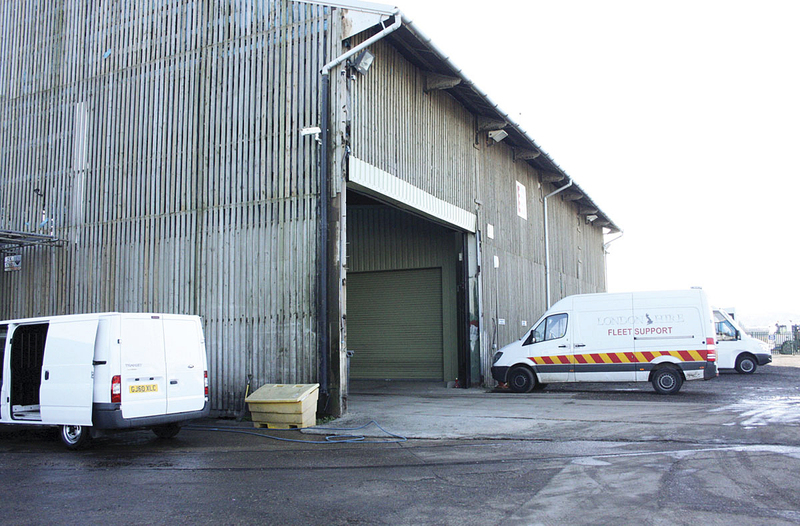 Standing outside the building you would not realise that within its cavernous interior there was a well equipped, modern maintenance facility and a separate complete vehicle MOT facility. London Hire outsource the majority of vehicle maintenance to approved suppliers throughout the UK but insist that all vehicles are seen at least once a year by their own engineers. Building the maintenance facility again showed Rob’s ingenuity. He needed the facility to be up and running quickly, he hadn’t the time to bring in the builders and the months it would take to construct a facility conventionally. His solution was to turn to Blue Steel Buildings and ask them to put their excellent pre-fabricated facilities within the building. Massive though the new site is, because of the continued growth of the London Hire businesses, despite the recession, they have already outgrown it and have just agreed the long term lease of another large area of secured hard standing just across the road from their main facility. The whole site should have even better security in the future because the large area of land next to it is due to become the headquarters of the local police!